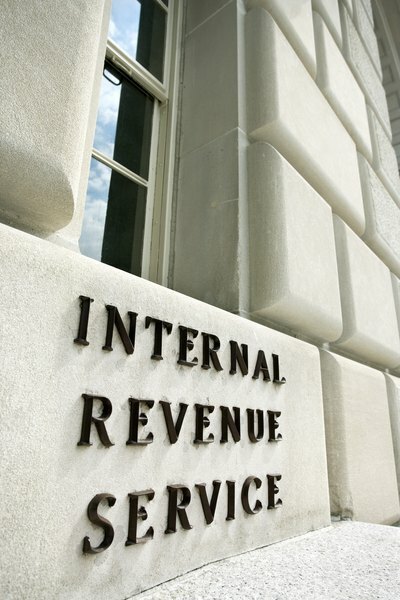 The IRS has specific rules for annuity distributions. An annuity is an insurance product that is often used as part of a retirement strategy. Investing money into the annuity results in steady payments to the investor over a fixed period of time. Although terms may vary between annuity contracts, there are some basic IRS rules that must be followed when taking payments from any annuity. Knowing more about the rules the IRS applies can help the investor better manage his retirement funds. The initial annuity investment is not taxed and the earnings grow tax-deferred, year after year. When the time arrives for payments to begin, any amount earned becomes taxable. The tax is figured at the taxpayer's regular tax rate. IRS rollover options allow a taxpayer to take a taxable distribution from an annuity and transfer it tax-free into another retirement plan or a traditional IRA. This option applies whether the taxpayer is self-employed or an employee. Rollovers must be made directly into the other plan through the plan administrator to avoid having to pay taxes. According to IRS Publication 575, distributions or withdrawals made before age 59 1/2 may be subject to additional taxes. Early annuity distributions require the taxpayer to pay an additional 10 percent tax on the distribution. This additional tax applies only to the portion of the distribution that is included in the taxpayer's gross income and does not apply to any part of the distribution that might be considered tax-free, such as amounts rolled over into other qualifying plans. The IRS allows loans to be taken from a company annuity plan tax-free provided the loan meets certain parameters. Parameters include a maximum amount of $50,000, or 50 percent of the vested account balance, whichever is the lesser amount. In addition, the loan must be repaid within five years, unless the loan is for the purchase of a main residence. Loans not meeting all IRS requirements, are considered to be taxable distributions. For instance, loans not repaid to the employee plan at the time the employee leaves the company are reported by the company on Form 1099-R as a taxable distribution. CNN Money: Ultimate Guide to Retirement - What Is an Annuity?